Today I’m compensating for the restless teenage years big time, by trying to handle both full time studying, building a blogging career, going out with friends, fixing up my apartment and devouring popular culture ’til I’m stuffed like a Thanksgiving turkey. I probably should slow down, but the endless stream of inspiring material out there on the internet just keeps flowing faster and faster and my to-do/watch/read-list keeps growing longer and longer. How do you guys handle all this information and inspiration? Do you deliberately schedule time offline? Do you read many blogs? What do you do to relax? I’m super curious! Where I meant to arrive to was that I’m starting this new monthly thing where I sum up some of the things I’ve stumbled upon in cyberspace the past month. I read so many great blogs that I want to share with you! These summaries will however extend to include everything under the stars. Food, songs, youtube clips, photography, quotes, movies, texts, you name it. Basically everything I’m currently crushing on. I know for example Sini of My Blue & White Kitchen and Stephanie of I am a food blog does something similar. I also like Emily Dahl’s ”Sunday readings” (in which the latest I’m featured btw! So honored! :D). – Loved this interview with Linda Lomelino on Coco Cake Land! – which resulted in me listening to this song over and over again the following days. – Also this movie! Girlpower!! – Tried and loved Salty Maple Squash, Ginger Scallion Rice and Turmeric Brussel Slaw. – Definitely gonna try GKS Chocolate Sea Salt Popcorn for the next movie night! – Loved these photos of Gingerbread Bundt Cake by Linda Lomelino. – Watched both seasons of this tv-series in less than a week. Omg I love Josh can he please come live with me?? – Rediscovered this song and played it obsessively. Easily my November soundtrack. 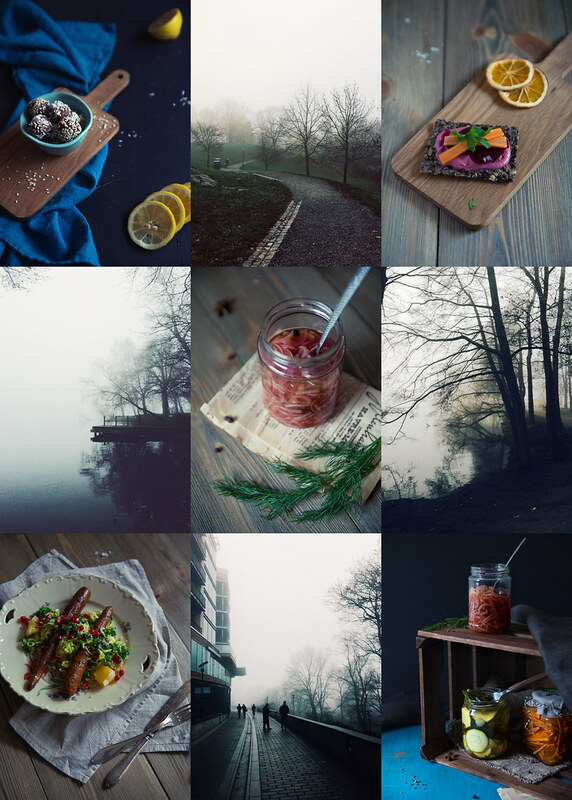 – Discovered Good Eatings Blog! – This Sour milk Saffron Bread by Emily Dahl that I desperately need to make! – Everything by Eva Kosmas Flores. – Drooling over Two Red Bowl’s Kabocha, Sage & Crème Fraîche Pappardelle! – This teaser! SO excited! Phew! That was a long list! Conclusion: Apparently lots of movies and tv-series, but that’s how it’s supposed to be during the winter months, right? Now if you’ll excuse me I’m going to watch another episode of my current high school tv-serie crush: Faking it. beautiful pictures and great inspiration!! What a lovely blog love list. I don’t blog full time and it isn’t a career, so I’m not the right person to ask, though I have noticed that those who do, follow an awful lot of people, so that probably helps. They’re probably not studying at the same time though;). Yeah no me neither, but it’s still a lot of work! Haha I think I might follow too many people… On the upside: lots of inspiration! On the downside: Sooo time consuming I almost forget I have stuff on my own to take care of hehe. Hoppas du får en fin dag <3 Kram! Hej! Vad kul att du named mig och vilken rolig lista. Allied fint att tanka pa vad man gjort, upptackt och astadkommit under en period. Soliga (i sinnet) halsningar fran London! Ja eller hur, det är lätt att glömma bort vad som skett och vad man har åstadkommit under månaden! Hoppas du får en fin december där borta!